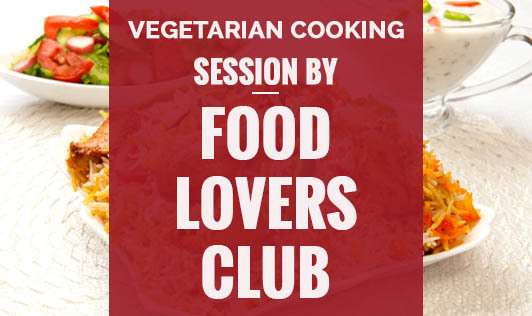 Last saturday (July 31, 2010) Food Lovers Club run by Kripal Amanna of Food Lovers, Bangalore, presented it's first all-vegetarian session in the 'Cooking with Caperberry' series. I went for this session and it turned out to be a very interesting one with all Spanish dishes. We were a group of 30 people who watched and prepared Gazpacho, Paella, Coca, Lettuce & Green apple wrap and a couple of desserts. Some of you who eat meat might wonder what's great about a vegetarian meal. Debbie Thirupuvanam from North Carolina was one of the participants in this cookery session. She has been a vegetarian (vegan, to be more precise) for the last 4 months. She says that she doesn't miss eating meat and feels much lighter. She turned vegan for health reasons but along the way realised that it's much better for the environment as well. If you wish to share your thoughts on meat eating versus vegetarianism, do write. I shall be posting a couple of Spanish recipes from our session, shortly.